UMPI Registrar Kathy Davis accepted the challenge after NMCC Vice President of Fundraising for Phi Theta Kappa, Crystal Condo, issued a rematch in September. 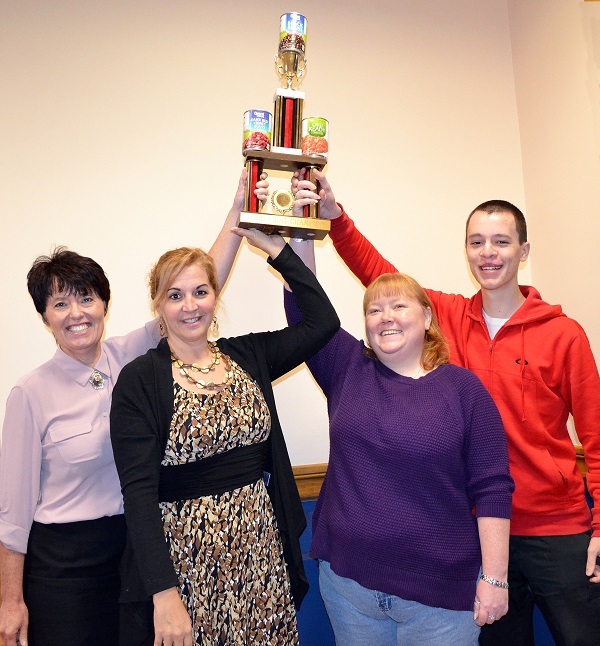 Last fall, in honor of Hunger Action Month, Davis had the inspiration to begin a friendly competition between UMPI and NMCC in support of hunger awareness and to combat local food poverty issues in a meaningful way. 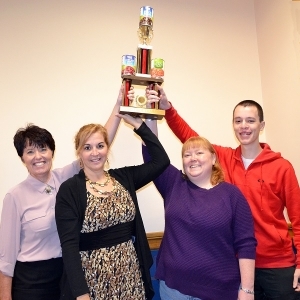 After last year’s successful event, when the two higher education institutions collected a combined 1,536 pounds of food, both UMPI and NMCC are looking to collect even more food donations and are vying for bragging rights and the soup can trophy that will go to the winner of the second annual Food Fight. This year, the competition start date has been set to coincide with World Food Day, as well as World Hunger Action Month during the month of October, and end on Nov. 6, giving both sides plenty of time to prepare and gather as much food as possible. At UMPI, there will be drop off zones in the Campus Center and the Center for Innovative Learning. At NMCC, the drop off zone will be in the Academic Success Center near the Christie Building lobby. All items donated will be weighed at the end of the event and the winner will receive the Food Fight trophy. Afterwards, all contributions will be donated to Catholic Charities Maine to help with hunger in the County. This Food Fight is a two-campus-wide event and all students, faculty, staff, and alumni are especially encouraged to participate. For more information, please contact UMPI’s Community and Media Relations Office at 207-768-9452 or NMCC’s Development and College Relations Office at 207-768-2808.